Because they're also my friends. They make going to work fun. 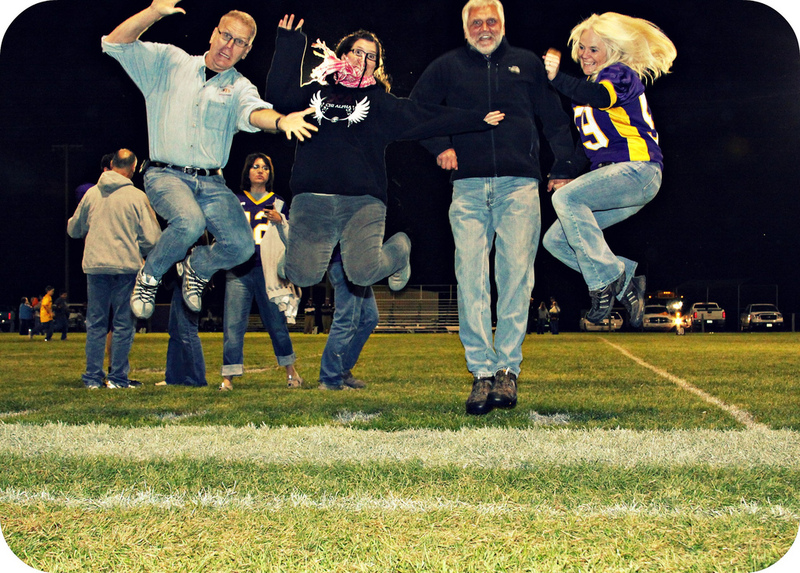 Earlier this year we all got to hang out a lot while photographing the Bridgeport Bulldogs high school football games. Away games were the best. More time to goof off & all. Monday nights, we work from supper time until midnight. And a lot of times Mondays are pretty much laugh fests. We'll even take breaks from working hard on layout or advertising or editing to go outside & fly homemade frisbees or have office chair races down the middle of the street. Or some other silly nonsense. I mean, I've had some annoying co-workers in my past. But this is the first time I can say I'm thankful for each & every one.